"Wasabi Wednesday" specials are 50% off sake martinis, sake sangria and sushi rolls - all night. Need some spicy, Asian-Latin fusion food while hanging out with a few dozen friends at a rooftop bar that serves craft cocktails? Catch up with old friends and meet new ones, at a Spring intercollegiate happy hour with LGBT groups from Yale, Harvard, Princeton, Dartmouth, Stanford, Georgetown, Brown, Berkeley, and U Chicago and more. Ivy-Plus; everyone is welcome. 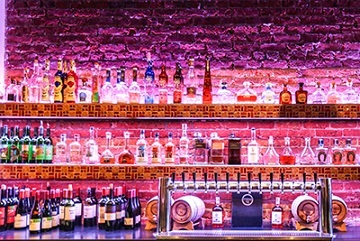 Masa 14 is a snazzy bar and restaurant, with good Happy Hour specials (and Wasabi Wednesday all night) and Asian-Latin small plates by Chef Richard Sandoval. Voted Top Bar DC by Washingtonian. We will meet at on the roof. (We will move indoors if it rains). Please feel free to invite your spouses, partners and friends to join us.